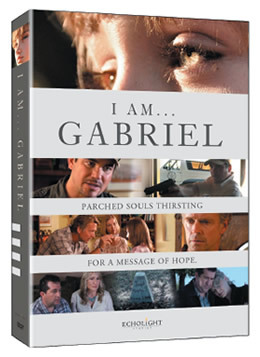 The new DVD release I Am Gabriel (Echolight Studios) is “tremendous, fantastic and inspiring,” according to Dove.org. The story takes place in the small town of Promise, Texas, which does not seem to show much promise. Harsh sun, parched earth and a failed economy have pretty much stripped the town of any hope they once had. Then one day, a mysterious boy shows up, walking along a dusty road with nothing but a mat tucked under his arm and the clothes on his back. He has an important message from God, but the residents are slow to listen — until the miracles begin. Directed by Mike Norris (“Walker, Texas Ranger”) and starring John Schneider, Dean Cain and talented young actor Gavin Casalegno, I Am Gabriel is a Dove-approved film for ages 12 and up.